The following information is a resource on South Carolina divorce law. 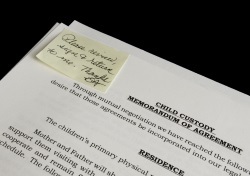 You can also find divorce lawyers and professionals, divorce forms, child support guidelines and worksheets. 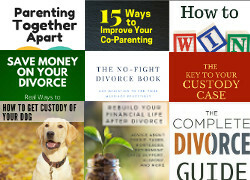 In addition to the resources listed below, you can find more general help and information in our various divorce articles throughout the site. Experienced and dedicated family law and divorce attorney serving the people of Mt. Pleasant and Charleston, SC area. Need a Family Lawyer? Pre-screened attorneys in your area will review your case and contact you for an initial consultation if they can handle your case. Divorce Document Service - Get your completed uncontested divorce documents without having to retain a lawyer! 3StepDivorce can help you prepare the required paperwork and customize everything to your situation. You'll also have different ways to get customer support, plus you can get assess to several downloadable books covering many topics that may need to be addressed in your divorce. Find out more about doing your SC online divorce. Separation Agreements - This guided service helps you build your separation agreement based on your unique situation. You can save and print your documents so they can be signed and filed with the court. Click here to access separation forms. We have a variety of parenting and divorce solutions, including educational programs to help divorcing parents, legal alternatives for Christian couples to structure a settlement agreement, and more. Discover what is available at our Parenting & Divorce Resources. Charleston Center for Women offers an informal divorce support group for women only in the Charleston area. Get together with other gals who know what you're going through. These are offered through the Brown Bag Lunch Series. Call ­ (843) 763-7333 to find out more. 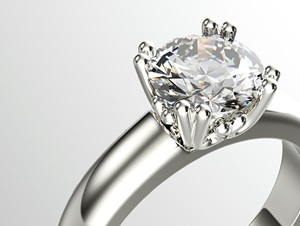 New Beginnings is a self-help program for individuals who are experiencing the pain and loss of a marriage. While this program is based on the National Catholic Divorce Ministry series ‘Divorce and Beyond’, ALL FAITHS ARE WELCOME. The main responsibility for what happens during the sessions rests solely with the group itself. This is a closed group, meaning once the group forms no new members can be added after the second week. You are encouraged to participate in ALL sessions. This no cost program consist of 11 sessions beginning September 6th at 6:30pm to 8pm consisting of times of reflection and sharing. SC Domestic Violence Advocacy Program - You can find local shelters and hotline, as well as other resources.